The Lifestyle Hub: Be BONA fide! The hilarious lines came very quickly one after the other, the cast moved around the stage so naturally like they were just chatting in their kitchen, and that tub's faucet, with no trace of its source whatsoever, excreted water! Although the material is already a masterpiece after being successfully transformed as a classic drama movie into a contemporary"dramedy" act, the audience and critics could not agree more that the real gems of PETA's stage play "Bona" are its very talented cast. Together, they will let you feel like a bona fide theater fan. 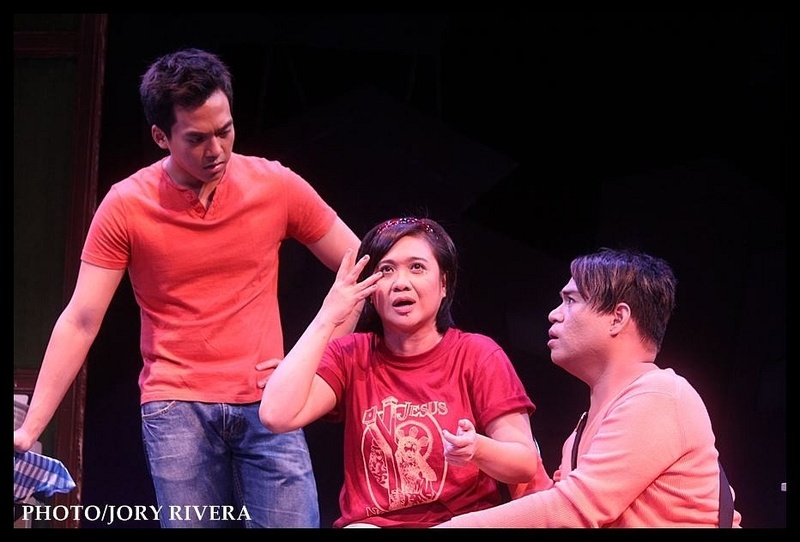 Me and Jude Cartalaba of Broadway World had the chance to sit down with the play's two main cast, Eugene Domingo and Edgar Allan Guzman, 20 minutes before the show started at the PETA (Philippine Educational Theater Association) Theater last Friday, September 7. They are about to stage their 11th show and for Edgar Allan, he is showing more improvements in his role as the celebrity wannabe Gino Sanchez. "Mas mabilis, mas nakakapa namin yung show and wala na delays", he said. Moments after, Bona herself entered the stage and greeted us, "Kumusta naman kayo?". Revealing earlier on that she will be forever pressured on representing a Nora Aunor original role, Eugene Domingo divulged how happy she is on the play's progress. "Ang dami mong natututunan sa kanila. From the lights man to the director of course, and then to your fellow actors. Ako naman I started as extra na dumadaan lang and then next scene ay curtain call na, naka-tatlong tulog nako- you will learn to appreciate the contribution of each one sa kalalabasan ng play", the Asian Film Festival's People Choice for Best Actress said. In fact, she is encouraging all actors to try theater. "Its a very good venue to improve our acting skills", she added. "Bona" was originally released as a movie in 1980 starring Nora Aunor and Philip Salvador and directed by no less than Lino Brocka. It was part of that year's Metro Manila Film Festival. Bona is a fanatic of movie extra Gardo Villa (Salvador) which led her to stop attending school and abandon her comfortable middle-class home to be Gardo's assistant. 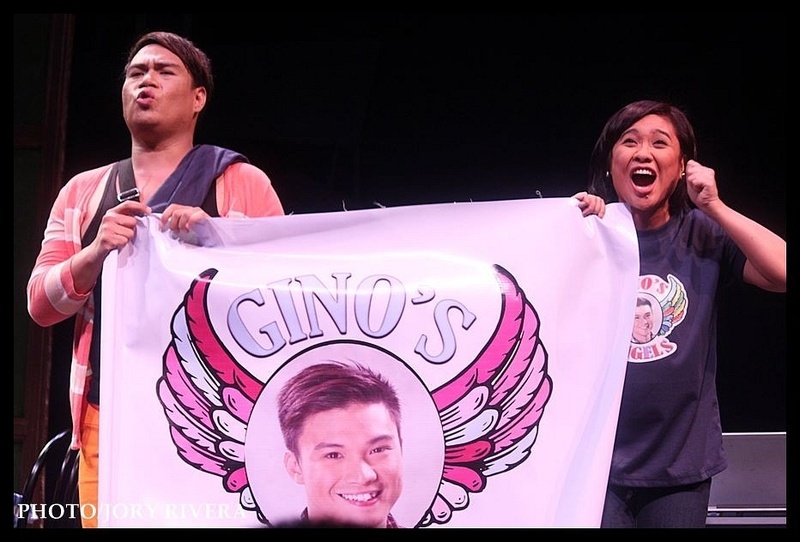 In the stage adaptation, Gardo's character came out as Gino Sanchez and the character was modernized from being a movie extra to being a TV talent show contestant. The play moved around on how Bona fell inlove with Gino, obsessed even that she sold her parents' house to fund a movie that should launch Gino's career. Gino fed her weakness by giving her false affection and admiration. Gino didn't become what he and Bona expected him to be. He got a girl pregnant and spent some cash, Bona's cash specifically, to gamble. If there's one thing very similar between the film and the stage play, its how Bona expressed her anger by pouring boiling water to Gardo/ Gino's as he waits to be bathed by Bona. For Edgar Allan, being Eugene Domingo's partner in the movie is the very reason why he accepted "Bona". "Gusto ko po talaga makasama si Ate Uge. Alam po nating alam kung gaano siya kagaling", he expressed. True enough, the throwing of comedic lines during the first hour of the play made me forget that an hour has passed, credits to Eugene and the support casts' outstanding and spontaneous storytelling full of punch lines. Although at a few times, you can notice the ad lib after they forget something. Still, it was very witty and hilarious. Eugene and the supporting cast, that night included Joey Paras (Bona's best friend Baldy), Raffy Tejada (Gino's manager Ronald), Julienne Mendoza (Bona and Gino's condo landlord Bert), Gabs Santos (Baldy's boryfriend Raf), Dudz Terana and Jason Barcial (Ronald's assistants called Chiqui and Nini), She Maala (Bona's sister Binky) and BJ Forbes (Binky's son Bingo) blended beautifully. For me, it was like watching my favorite childhood sitcom "Ober Da Bakod", feeling so entertained and at home but 20 times more fun. "Mahirap 'to. Mas mahirap to kaysa "(Ang Babae sa) Septic Tank. Na ppressure ako each time. Hindi ganun ka mura yung ticket namin, umuulan pa, mahirap pa parking at talagang pinupuntahan ka ng tao so dapat talagang husayan", Eugene narrated. If given a chance to do another theater piece, Eugene gleefully said she would want another musical. "Since na try ko na 'I Do Bidoo Bidoo', gusto ko ganun na naman", she shared. 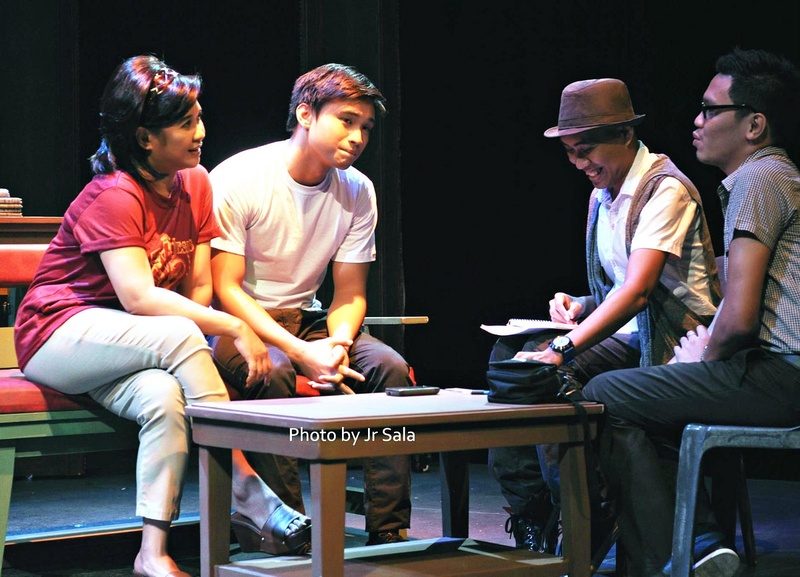 "Bona" is directed by veteran TV and movie director Soxie Topacio and written by UP's Layeta P. Bucoy. The play is down to its last 6 shows for the next two Fridays, Saturdays and Sundays, September 14, 15, 16, 21, 22, and 23. For ticket inquiries you visit PETA's website or click here : http://petatheater.com/shows/items/bona/ . This could be your best chance to be a bona fide theater fan! Photo credits to two of the "awesomest" photographers in the world; Jory Rivera and Jr Sala.